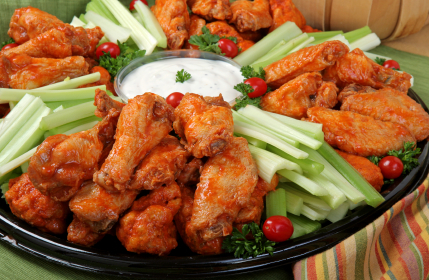 Your Super Bowl Menu Ideas will guarantee your party is going to be Great, regardless of size! And regardless of which team wins! 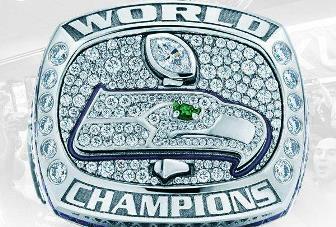 Yes, this is a Seahawk's ring...after winning their first Super Bowl! But the "Hawks" failed to even make the playoffs this year! Rebuilding time! But the point of this page is to give you menu ideas to help guarantee the success of your watching party at home. The Super Bowl has turned into one of the premier social events of the year. You can make your gathering a simple pleasure or one more elaborate by the menu items you choose. The suggestions on this page have some very simple recipes and some that take a little more time. All will delight you and your guests. Any party at my house will also include some beer and wine (and designated drivers) and a delicious, refreshing non-alcoholic punch. And...my guests will be served "buffet style." I intend to watch the game, too! What are favorite menu items at a get-together? For some, pizza is a basic. Hot wings are high on the list as well. Tortilla chips with guacamole and salsa, hamburgers, chili, fish tacos and sometimes BBQ ribs. Almost all of those traditional recipes are on this website. But for this page, this time, try some new recipes that will be appreciated. Party trays get things started. Of course, an easy cheese, fruit and cracker tray is fine. But this year I am serving a modified tray of tortilla chips and specialty crackers with "crazy hot sauce." Or...get ready...Black Bean Salsa! Oh...wait! My restaurant guests and I just tried a recipe sent to me by Organic Farms. It is delicious beyond description. TRY the Hot Bacon and Bleu Cheese Dip! Black Bean Chili. Not traditional chili...but something you and your guests will remember...as special. Well, this year, no meatballs. Instead...Bacon-Cheeseburger Meatloaf your guests can slice their portion...and enjoy! Including the children! No? 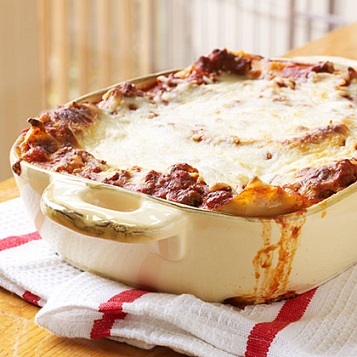 How about a pan of Italian Sausage Lasagna! Precut it and your guests will love it! Salad? Lots of easy, delicious choices. One to consider is the Italian Salad. Lots of veggies and you can leave out the meat to accommodate vegetarians! Dessert? YES, of course! A little? Try a great recipe for a Brownie! A bit more? How about some delicious Apple Crisp! Or... OMGosh ...Peanut Butter Pie! 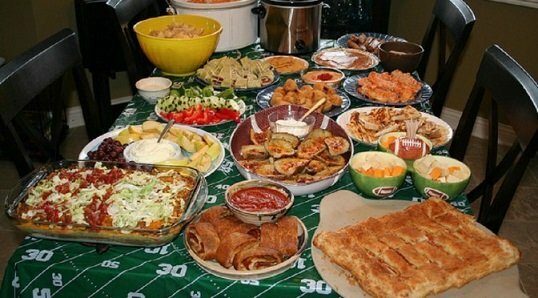 Enjoy watching the Super Bowl, the food you prepare and the company you share it with!